After Asia and the first strong interest in the USA, Europe is also becoming aware of it. In September 2018, members of the European Parliament gathered to discuss and define the first bill concerning Initial Coin Offerings (ICO). The goal of the legislators, promoted by Deputy Ashley Fox, is to create a more reliable and effective regulatory system for ICOs, because the chances of coming across a scam are quite high. In fact, the Statis Group found that in 2017, 80% of ICOs were only scams (CRYPTOASSET MARKET COVERAGE INITIATION: NETWORK CREATION JULY 11, 2018). Fox is not the only one who wants to approach the crypto world. Laura Royle, manager of the Financial Conduct Authority (FCA), has underlined all the advantages for companies offered by ICOs, eg, the reduction in costs and timing in raising capital (remember that the ICO capital collection updated to the second quarter of 2018, has reached a record figure of 8 billion dollars, up 150% compared to the previous quarter). Another advantage is the avoidance of subsequent class actions by customers. In Italy, the entrepreneurial mindset is still very fearful about cryptos, even if it is slowly intertwining with this world. Some pioneers in Italy are promoting the creation of Italian ICOs and ITOs, in the hope of understanding the potential and competitive advantages that this form of crowdfunding could bring. There are those who have fully understood all the positive aspects, to the point of creating the crypto-ruble. We are talking about Putin, who while initially very skeptical about this new unregulated system, later decided to embrace the new technology himself. The Russian leader himself will manage the national crypto economy. Putin’s first aim is to eliminate illicit trafficking such as money laundering and trafficking in arms and human beings, etc. In fact, he will only allow the exchange of crypto-rubles for which it is possible to trace the property in order to create a transparent timeline on the blockchain, as is the case, for example, with Ethereum. Moreover, the crypto-ruble is able to function with negligible transaction costs, and its conversion into national currency will be completely free. Initially confused about what it was, Putin is now promoting and stimulating crypto-technology, but making it legal and safe. A 13% tax will be imposed on owners of crypto-rubles who are not able to prove ownership. This decision won’t increase the flow of capital in Russia, but will certainly prevent the use of crypto-rubles in illegal activity. Putin’s second objective is to increase profits in the public sphere, and what better way to do it than by using crypto technology? Finding investors for Russian pension funds that make over 7% is certainly a good start in opening the door to all investors without the limits of borders. With the support of Ethereum (the operating system for Internet 3.0) and WAVES (next-generation currency market), Russia will have a simple and efficient platform for investments in private and public equity, so it will be possible to exchange crypto-currencies and derivatives in securities, directly at the bank of Moscow. It can be said that Putin is building brick by brick an investment system in which investors will have complete confidence. Can we consider this a valid answer by Putin towards McCain, who tried to deprive Russia of capital? In any case, Putin made the winning move by creating a decentralized and tax-free crypto-currency market. Perhaps Putin’s decision will be an example to other European leaders? Will we begin to hear about crypto euro, crypto dollars, crypto yen, crypto sterling, etc.? There is already the petro across the ocean. As we all know, Venezuela is in a deep economic and political crisis: the scarcity of food and US sanctions are among the main points. To remedy this crisis, or at least seek a recovery, Nicolas Maduro, president of Venezuela, has decided to create a Venezuelan cryptocurrency, the petro. Unlike other cryptocurrencies, petro will be pre-mined, ie produced and controlled exclusively by the government, without the possibility to create new tokens, and will be supported by Venezuelan reserves of oil, gas, gold and diamonds. Venezuela has allocated 5 billion barrels of oil to support the petro that will be tied to the cost of a barrel of which the average January price was about 60.40 dollars. So 100 million dollars in oil would contribute to a gathering of 6 billion dollars, which at this time is absolutely indispensable. All citizens and companies can buy petros with dash or other cryptocurrencies. Taxes can be paid in petro and it promises to extend the use of cryptocurrency to any service offered, including buying food. Obviously the greatest aspiration in the not too distant future will be to extend the petros market internationally, in order to guarantee capital flow and political alliances. The Reuters news agency reported that this new market could lead to the violation of sanctions against Venezuela, as stated by a US Treasury spokesman: “The petro digital currency would seem to be an extension of credit to the Venezuelan government … and could then expose US citizens to legal risk.” In fact, Trump subsequently signed an executive order that excludes any financial transactions based in the United States involving the new petro cryptocurrency. 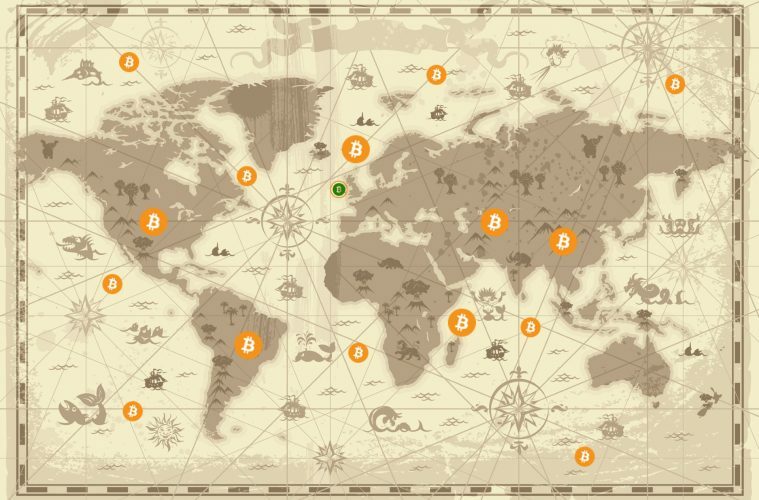 The world of cryptocurrencies was born, developed, and is now consolidating. One thing is certain: Europe in general is evaluating the crypto economy and the adoption of ICOs, changing their minds and their initial NO. Something is moving and it’s only a matter of time. Previous ArticleNew analysis asks if billionaires are made or born?